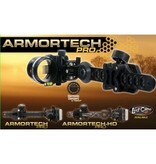 The finest hunting sight on the market just got better! With the addition of a micro adjustable dovetail bracket, sizing the scope housing to your peep sight has never been easier. 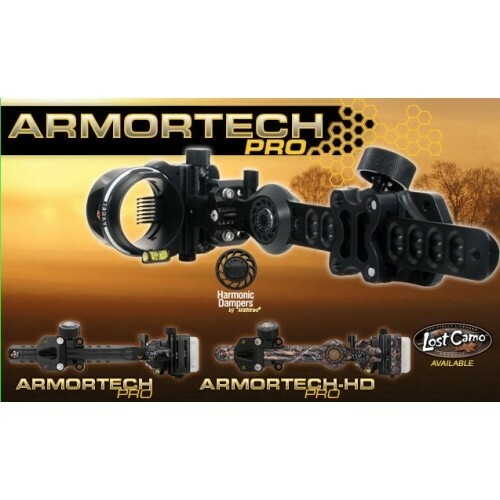 All Armortech Pro sights are available with (HD model) or without a MathewsÂ® Harmonic Damper, 4, 5, or 7 pins in .010â€, .019â€ or .029â€ fiber size. included with the sight is a universal quiver mount bracket, making mounting your quiver a simple task!